Time for another Beauty Find of the Week--an affordable beauty item that I love...and I hope you will too. This was actually supposed to be on my post last week on Color-Changing Lipsticks (if you missed it--it's right here), but I couldn't find it. I searched right up til it was time to post. Of course I found it the next day. It's just too good not to share. What is it? It's the ELF Gotta Glow Lip Tint in Perfect Pink. And it is practically perfect--for when I need a natural look. Add a tinted moisturizer/bb cream/ serum foundation, mascara, and this. Done. And it's only $6. And while we're speaking of pics, I have something that's been on my mind. I've gotten some comments here, on Insta, and on my Youtube about my mouth--that my lipstick or lip liner looks crooked/awful/weird/wrong/bad. I assure you, I apply product correctly. I love ELF, they have great and affordable products. It's been a long since I order anything from Elf, maybe it's time haha! I never even noticed your mouth/products were crooked or misapplied! I think you are a lovely person Elle and I am appalled people think they have the right to judge you. This lip product is intriguing!! I like the idea of a custom, natural pink. BTW, I just tried Charlotte Tilbury's Legendary Brow. Have you tried this yet? looks so beautiful on you...perfect pink :) I would see if i can get this online..
People are stupid. I always think you look beautiful . . . such a shame that women have to comment on something so petty. Who has that kind of time to notice stuff? I have looked and still can't. You do you boo and don't let crazy beotches harsh your gig! Pretty pink color! So sorry you've been getting comments like that. I think everything looks amazing on you! Have a great day Elle! ok i love that lipstick! i love the price point too. def going to have to snag that soon. and who cares what some of those haters think - you keep doing you! What a fun product! I am so sorry that you have getting negative comments. I always think you look beautiful! Oooh, I will definitely be trying that out! Love how natural it looks! You look wonderful too as always. Thanks for sharing. What a pretty color! Looks great on you, and that price is awesome too! Love that pink! It's so pretty!! So this really is the perfect pink! It looks so pretty on you! I'm sorry to hear about the negative comments. My mom has had TMJ for years and I know how awful it can be. You always look gorgeous, Elle! I love this soft shade and for $6, I'd definitely try it! Some people can be so rude. Ignore them and keep posting beauty :) love that pink lippie on you. 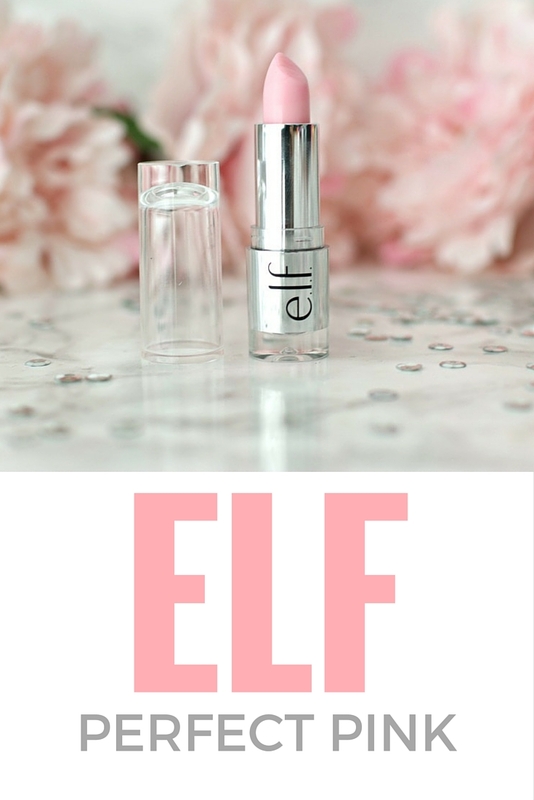 Elf has always been one of my favorite beauty brands! I love the idea of this and will try it out for sure!! I think you look great but sorry to hear that you've been suffering with TMJ--I hope it gets better soon! That color is so pretty in the tube and on you! I will have to check this out, I am such a sucker for a pink lip. I am sorry to hear that you are getting comments about something like that. Why cant people just be supportive of others without having to pick about certain things??? I have never though you looked weird so I am not sure what they are talking about but I guess they have nothing better to do with their time. That is such a pretty natural color - reminds me of the cool of SPRING... that I miss. I love that color on you, and that's awesome that it has shea butter to help keep your lips moist! Dry lips is usually an issue for me! 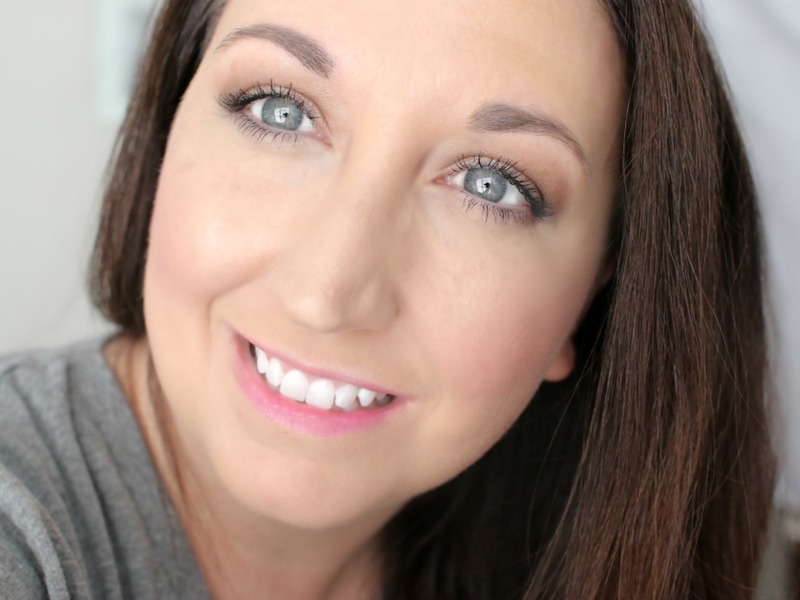 I love the fact that you always wear the products that you try out for your posts! I feel like I get a chance to see what they look like on instead of just reading about them, which is totally different. You always look so beautiful in your pictures! This is such a pretty color! You always look beautiful, Elle! Ignore the rude people, they don't know anything! I think you look beautiful in the pics and that color looks so good with your complexion and blue eyes! I love ELF cosmetics, I always find great dupes on their website! Love this shade on you. Wow this tint looks gorgeous! I love how affordable and amazing elf products are! Your photography is amazing too! Ug people are so rude! I've never noticed anything wrong with your lip liner or lipstick! I love ELF and will have to keep an eye out for this at the store. What a pretty pink on you! I never like color changing lipsticks because they always turn really dark on me. This one is such a pretty color on you though and so cheap that I'll give it a try for sure. Thanks for the review. I love ELF - definitely need to check this out next time I am at Target! I literally just finished writing my July Favorites post for Friday and this is in it. I LOVE this stuff. 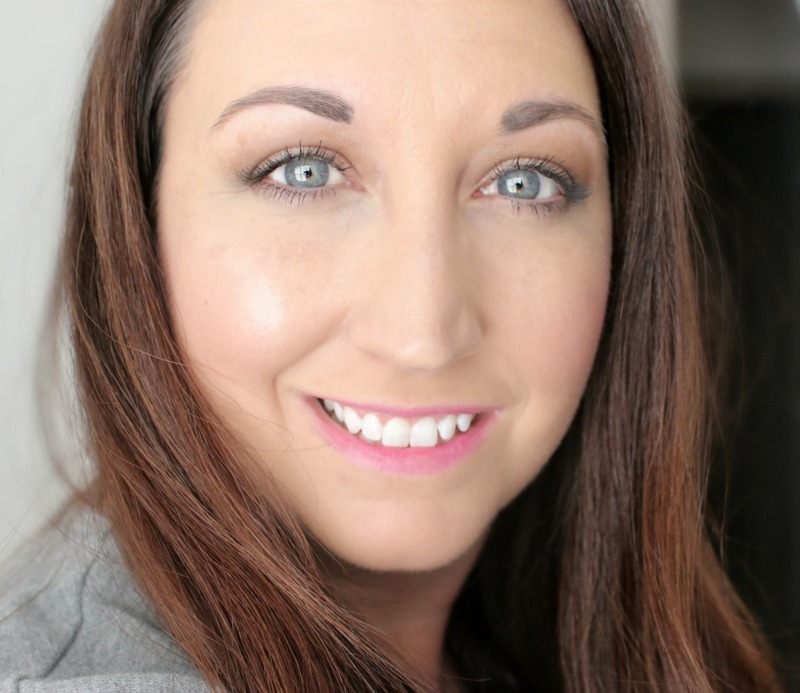 I've been wearing lighter makeup since it's blazing hot and you are so right, this stuff is perfect for a more natural look. It hasn't left my purse since I got it. I've never noticed anything different about your lipstick or liner application. Some people will look for fault or issues anywhere. It's hard not to listen, but you've got lots of people behind you. Keep on! That's a nice, easy summer color! I've had TMJ issues too, so I completely understand. Your mouth looks perfectly normal to me, and I've never even noticed. Sorry you've had to deal with rude people! People can be so rude. I think you look gorgeous in these pictures! and that lip color is perfect on you. Ooo that is a nice color. I am going to look for this in Duane Reed tomorrow. I love this lipstick on you. And I was thinking even before I read the entire post that I love these pictures of you. The angles or something, looks really good. 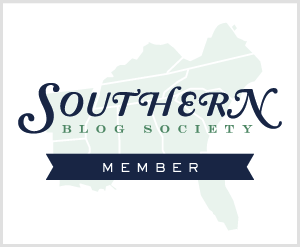 Thanks for being yourself and one of my favorite bloggers. Honestly. This color looks fab on you!! I wish it would look like that on me, but well, let's face it, we don't have the same coloring... hehe Argh, enough with people and their negativity. You ARE fabulous - eff them! This color is pretty and natural looking! This is definitely a pink lipstick I would love to add to my collection! The shade is so soft and gorgeous. First of all, don't let the negative comments about your mouth affect you. You do apply makeup right. 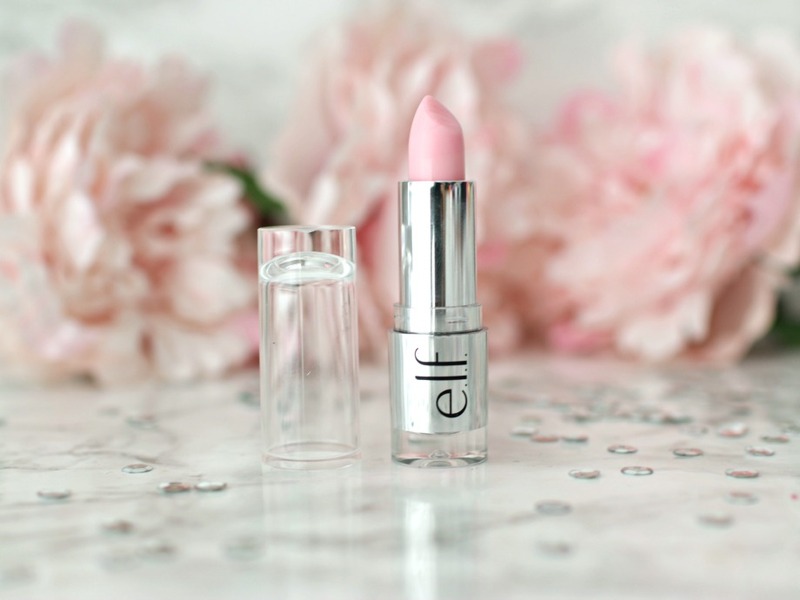 I love ELF products and this lipstick is the perfect pink indeed with a glow and shea butter - I must buy it, Elle. 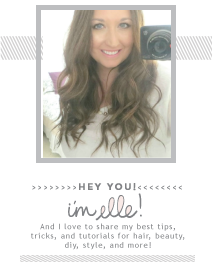 You are beautiful and such a makeup expert! Don't let the comments get you down. (Easier said than done, I know! I had my own dedicated troll in January until I blocked the ip address and not just the emails). I don't have any experience with TMJ, but I do with my own chronic illness. Gotta just keep powering through! Sometimes that means a successful day is just one when I shower and put on real clothes. That ELF lipstick sounds amazing! I might need to try it out myself.